How it Works - When you create friction by brushing your hair or towel drying it, you strip your hair of negative ions. Ionic tools, such as our ionic-infused brushes, can reverse this effect. 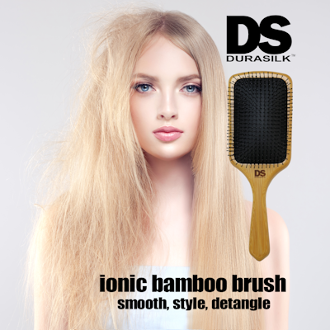 By using our ionic brushes, you add negative ions back into the hair and restore its natural charge. This promotes healthy, smooth, glossy hair. When you heat the brush up, it produces even more ions. This technology, along with our superior deign and finest hand polished materials, offers the best quality luxury brush.